We are a small home cattery, with 3 studs and 6 breeding queens. All our cats are full members of our family and the queens live among us, in our house.They have a large space to be happy. They have a true family life. Studs have their own accomodation. They also have a daily walk outside in the garden. We also have 3 neutered girls leaving with us. 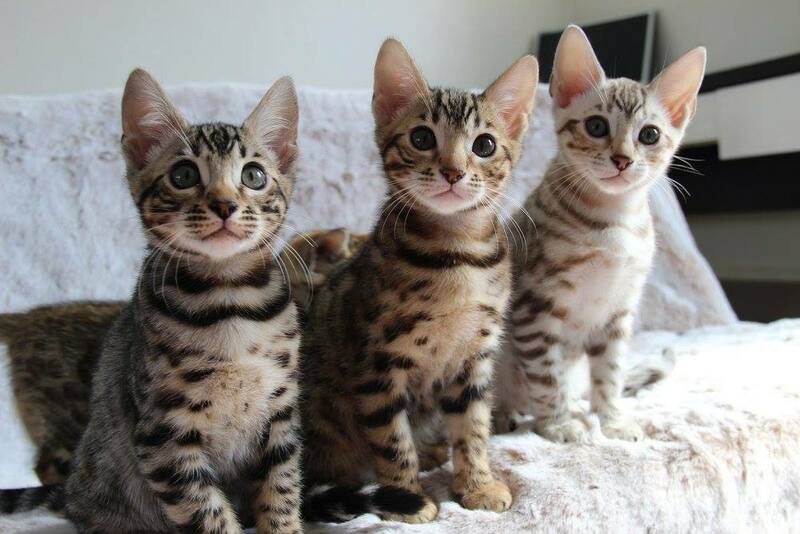 Breeding bengals is a true passion and not a mercantile activity for us. My husband has a job outside the cattery allowing us to give the best to our bengals. Since now 2 years I took the decision to stop my previous job as a PA to be 100 % concentrated on my breeding program together with my new activity of animal behaviorist. I became 2 years ago a specialist in Animal behaviouring (cats & dogs), creating the company "AnimalOtop" to be closer to the animals. This enabled me to be more often at home to take care of my cats. Our cats have the best food on the market and according to their needs : Raw food (beef, chicken....)twice a day and only grain-free dry food during the day (Farmina from Italy/Acana) as the cat needs to eat several little meals. In his natural environment the cat is not eating dry food ! so we need to provide raw, just an evidence. We discovered the bengal first time 11 years ago, while visiting a cat show and that's how the story of Asian Safari started. We made the choice to import our first cats from the best lines in United States/ Germany/ England from prestigious catteries that we carefully select. 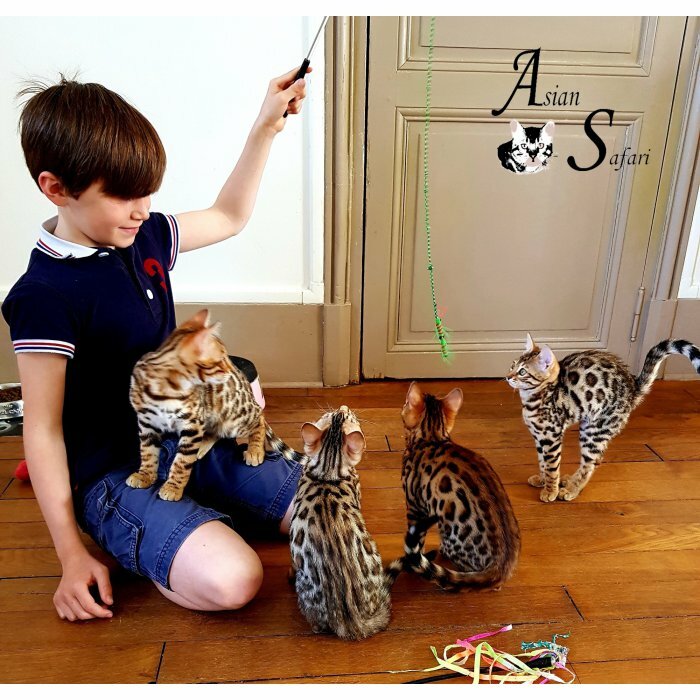 Thanks to Absolutely bengals, who trusted us by sending a stunning baby boy "Walker" who became in two years a superstar in France. 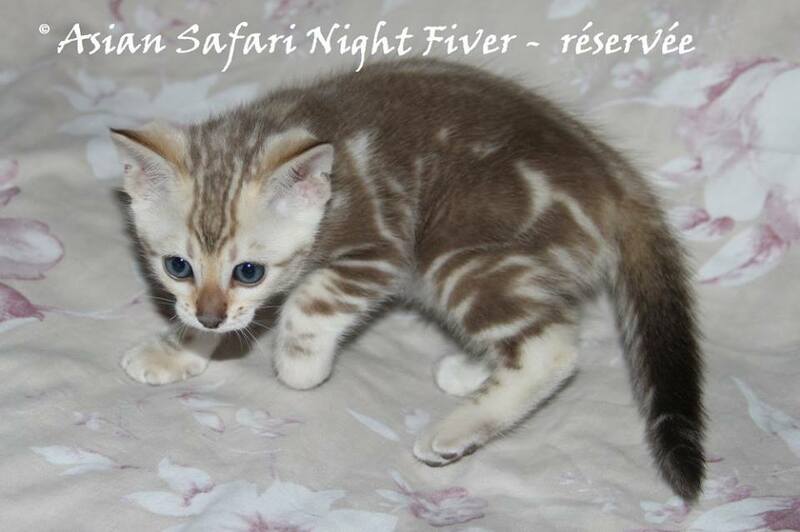 He was the one and only cat from this cattery sold in France and he achieved the highest level everywhere! 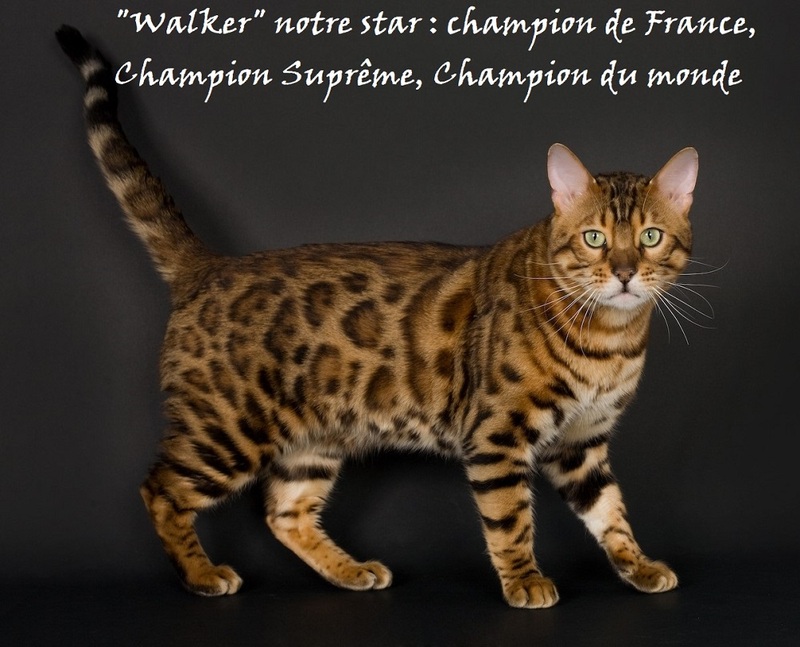 Supreme CHampion FIFE, World Champion WCF, European Champion LOOF (French federation), French National Winner in 2011 (Best cat among 720 cats). 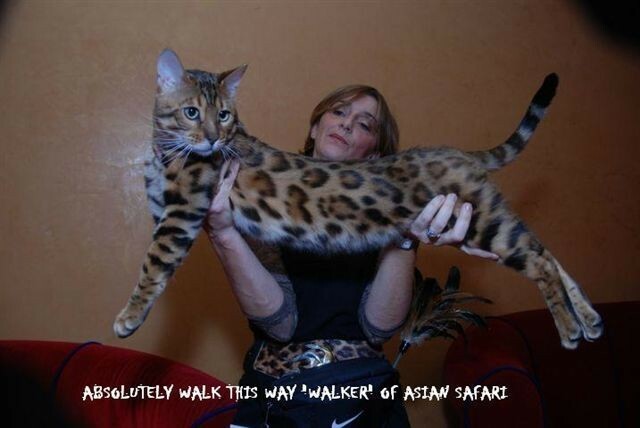 Walker has produced some stunning cats and is the father and grand father of kittens in several countries in Europe and USA. 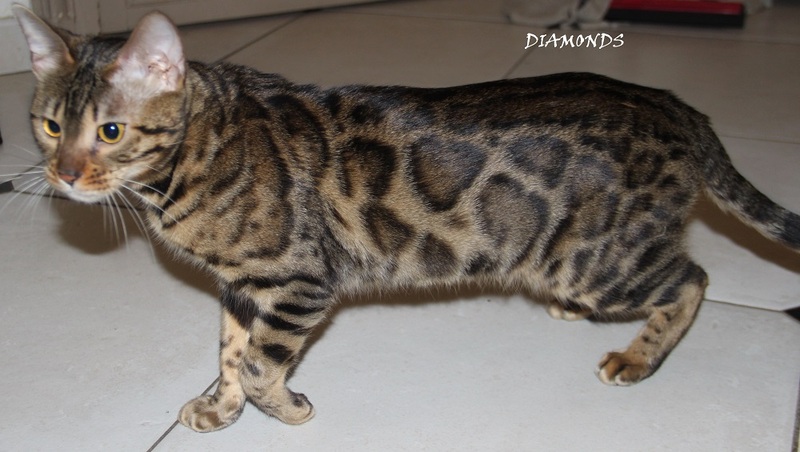 I will never thank enough our great friend Holly from Enchantedtails bengals in Oregon, who accepted to sell us two fantastic breeding queens, we are the only cattery in Europe to have cats from her, this is a great honor, one of them Shania was an incredible F5 who became Great International Champion and who is the foundation of our breeding program. Shania is the mum or grand-ma of several girls (Glory, Jingle Bells....) One of them, the amazing Glory (picture below) became a Supreme Champion like her father Walker. 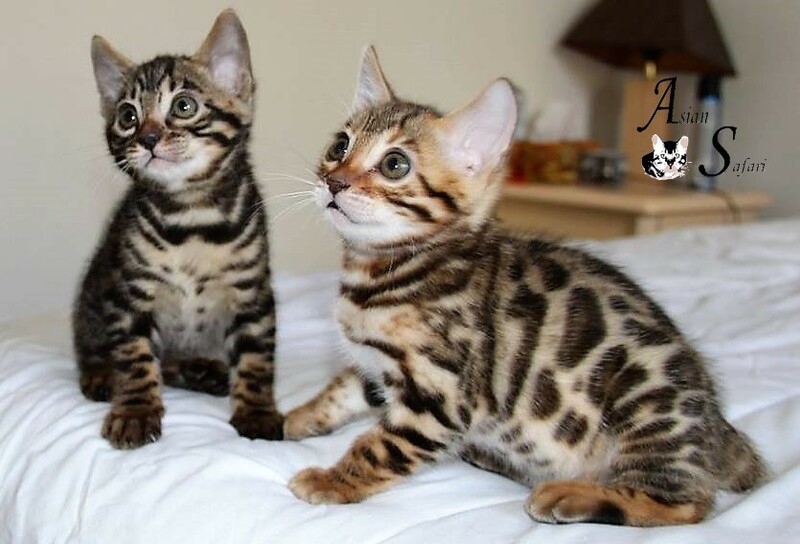 We're happy to breed now the 4th generation of Asian Safari bengals (picture below). 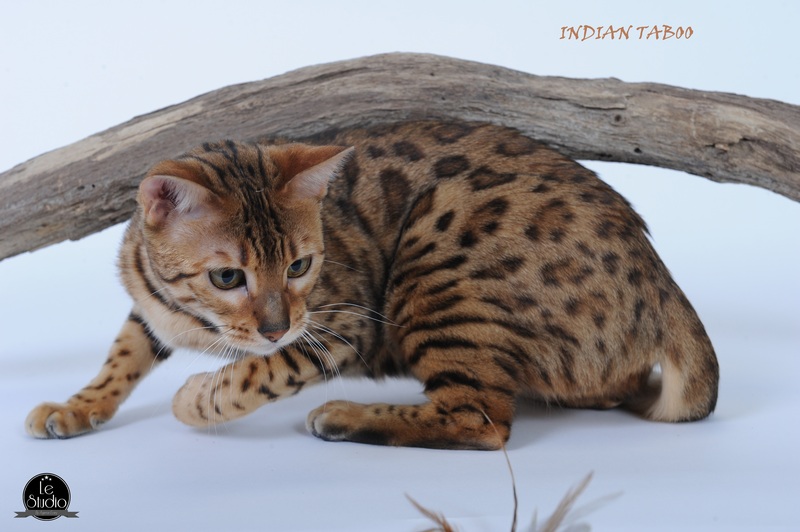 Most of our cats attend International cat shows because this is for us a way to prove our customers the quality of our cats and that they perfectly fit the Bengal standards. We are always aiming for quality and not quantity. 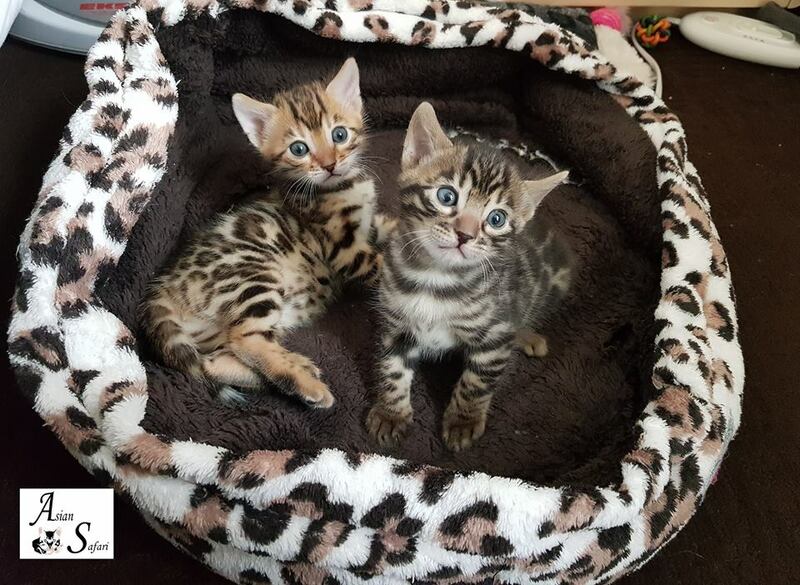 We know what the "breeder/show" standards mean because we are often competiting against other bengals. We have nothing more to prove now as breeders of show cats since 8 years our cats have had everywhere across Europe some rather good results. We take great care in chosing our kittens new homes, being highly selective. We do not hesitate to refuse to sell if we have a single doubt about the environment/family, babies spend more than 3 months here and are part of us when they leave. We stay in contact and are always there for them, we follow the cats during their whole life. We also take care of good sociabilization of our kittens with children, and Arthur helps us a lot. We wish you a nice visit and hope you will, like we do, love seing our bengals and hope you will for a few minutes our passion for them .